I own a variety of tweezers. They all work better for certain things. I have a pair for fine hairs, one for thick hairs, one for shorter hairs, one for any kind of hairs, and now these for not only tweezing, but also for combing and raking.---I'll explain in a minute. My brows are not too bushy since I do pluck them and make them thinner. They still need to be groomed. I usually use a spoolie brush to tame them. 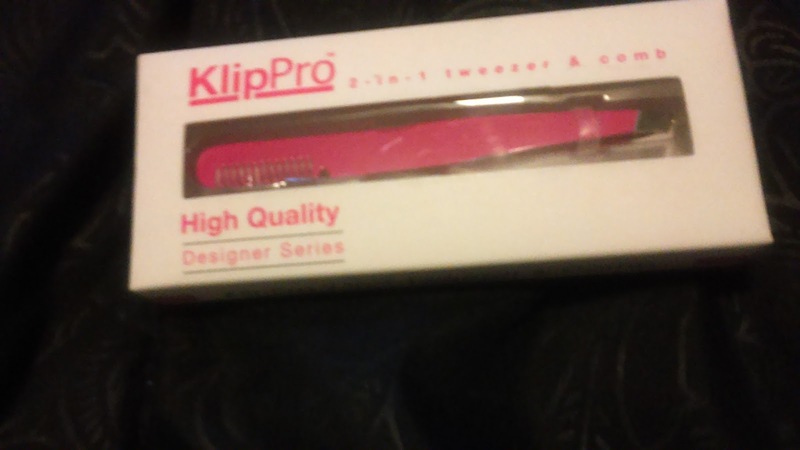 I used this tweezer comb on my brows and it works alright, but honestly not as good as my spoolie brush. What I do like to use this for is to "rake" through my eyelashes after I apply my mascara, especially my fiber lash mascara. Now, if the fingers of the comb were skinnier, it would be even better, but it does help separate them better than my plastic eyelash comb. 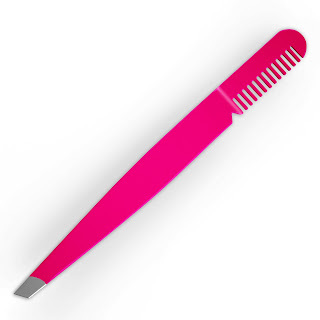 I do love the unique look of these tweezers and am loving the shade of hot pink though. Learn more about this product and purchase here.